Champion your Hero, train your archers, rally up your troops, prepare your archers, build your catapults and fill your stables! The war is here and the strategy is crucial to crushing your opponents. Recruit spies to get the intel on your enemies, before unleashing a fearsome attack to destroy their city or capture one of their villages. 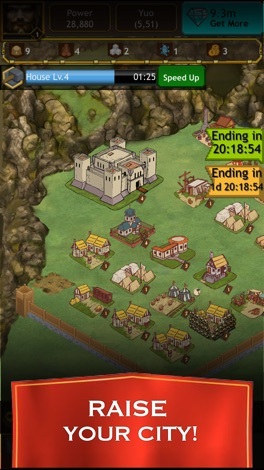 Starting with a single castle and its walls, build your city into a formidable fortress with military units, trading units and rural units that will help you stock up with resources.Improve your attacking power by upgrading your troops until they are eventually strong enough to capture barbaric villages before your enemies do. Disregard your defense at your own peril, a mighty army is nothing without its castle. Strengthen your walls and research defensive strategies to ensure you can stand up the toughest of foes. Form an alliance with other players and become the biggest feared alliance and rule your empire. 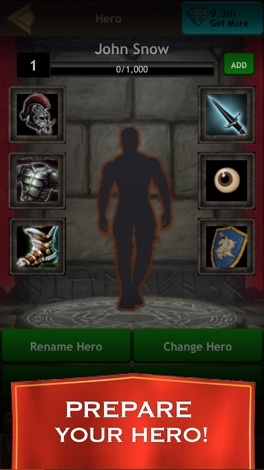 Use the live alliance chat to discuss battle plans and roles, without having to post into the world chat. 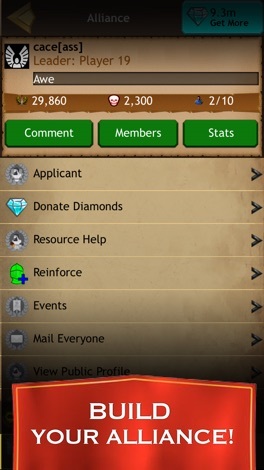 Help your fellow members out by sending troop reinforcements or trade resources. See how far you can rank in the monthly Alliance tournament. GET SOCIAL, AND MOST IMPORTANTLY HAVE FUN! The in-game, world chat gives you the chance to brag about your city and your alliance or poach other Lords in the game to try and persuade them to join your team using the private messaging feature. The war has started and show no sign of letting up. What are you waiting for? Make your stamp on this huge map and prove that YOU are the one to sit on the throne and rule your Kingdom. Jedinečná možnost live vysílání, novinky, soutěže, chat a mnoho dalších nepostradatelných informací z prostředí rádia Kiss pro váš telefon. Aplikace je vytvořená pomocí služby ADAM - www.ADAMAPP.cz.